Clap on! Clap off! The Clapper! Today we're having automation installed from our local cable company allowing us to control our lights and thermostat using our cell phones. Now we can turn our lights on and off anytime, anywhere. Like we really need this luxury? What kid from the 1980's doesn't remember these commercials for The Clapper? Clap on! Clap off! Clap on! Clap off! The Clapper! Weight Watchers look so easy. I've never kept my weight struggles a secret from my blog. In fact, if you've read some of my earlier posts, like this one about my gym class drama growing up, you'll know. Many people blame parents for childhood obesity, but honestly, my mom did everything she could to help me change. She encouraged me to play soccer, took me to Jazzercise and dance class. And even signed up for Weight Watchers with me about 15 different times between the ages of 10 and 27. It's crazy how I can recall Mom and me at our local Pathmark back in the mid 1980's. We'd go through the different Weight Watchers frozen dinners packed in pretty pink and white boxes. My favorite dinners back then were the southern fried chicken and the turkey with stuffing. 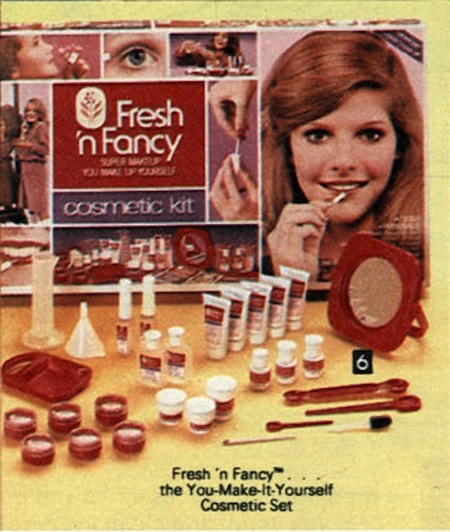 I remember glamorous ads featuring Lynn Redgrave with her beautiful puffy red hairdo and sweet British accent. "Weight Watchers, this is living!" she'd remind us ... She made it look so easy. So glamorous. So fun. It never was for me. I realize it's the very best program out there, so please don't think I'm denying that. It just never worked for someone like me who refused to follow the program correctly. Funny, there's an episode of Mad Men where Betty is following Weight Watchers in the 1960's obviously. The scene shows her watching her husband eat a delicious steak late at night. He gives her a few bites and she jokes that the day is new after midnight. I always played that game too. Did you diet as a teen or preteen? Remember the pink and white packaged frozen dinners before the red and white branded Smart Ones? 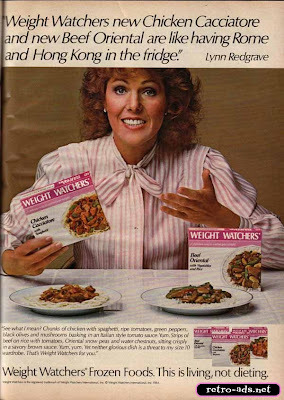 Remember when you could purchase a whole week's worth of Weight Watcher meals at the meeting, similar to a Jenny Craig program? 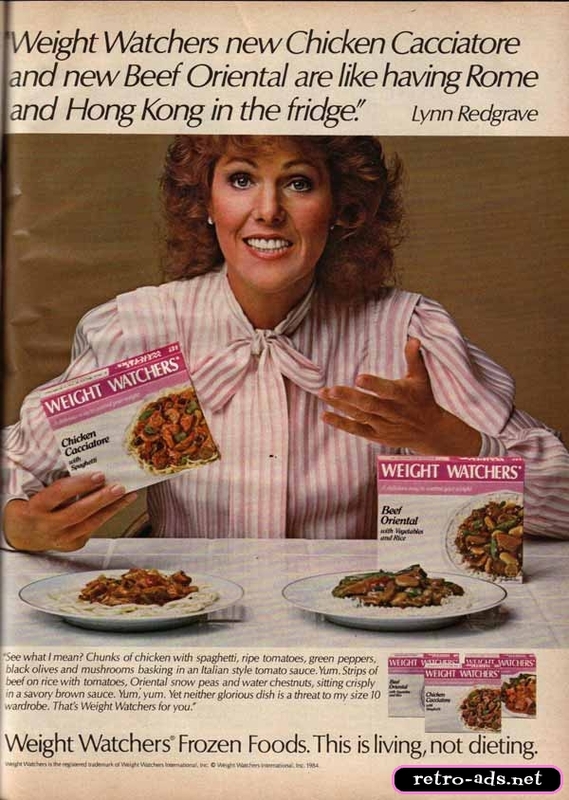 Watch a retro Weight Watchers commercial with Lynn Redgrave as their spokesperson. I loved watching Cops in high school and college. It's hard to believe Cops first aired in 1989. As a teen and twenty-something, I really got a kick out of this program. Watching cops from various cities in Florida, Vegas and Texas busting drug dealers, drunk and stoned teens, street walkers, etc. And who could forget the classically catchy reggae tune "Bad Boys" from Inner Circle. It's unreal to think this documentary-style reality show has run for 25 seasons. Fox cancelled Cops in May 2013, however Spike has come to the rescue! Look for the first episode of season 26 to air on September 14, 2013. Check out the pilot episode from season 1. Last night, while driving to the gym with my husband, we saw what we now know to be an everyday occurrence in Florida ... A shirtless man driving a pickup truck. 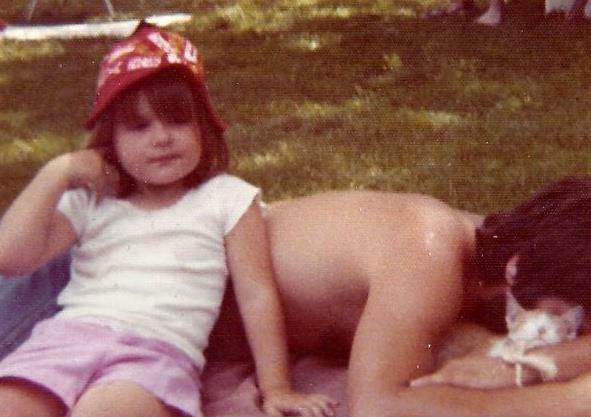 I joked with hubs that to this day, I always think of my dad when I see a shirtless gent. Ironically, hubs hates taking off his shirt. So unless he’s showering or swimming, you won’t see him roaming around our house or yard shirtless, let alone driving! My dad, on the other hand has no fear of being shirtless ... He's always helping us around the house when things break. And trust me, we love him for it and are forever indebted to him. And if Dad doesn't know how to fix it, he will Google and YouTube our various appliances to figure out how to repair it. But I have to laugh, because within five minutes, Dad’s running around our garage or kitchen with his shirt off. In fact, here I am sitting at work on lunch ... I look up and see this photo I have pinned to my cubicle. Ironic, huh? *Facial features blocked to protect his privacy. Not sure how Dad would feel if he knew I had his photos floating around online. As a little girl, I was a big fan of shows about cops and doctors. 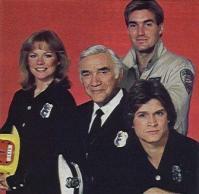 I'd often tune in to adult-focused shows like Quincy, CHiPs and Code Red, a show about a family of LA firefighters staring Lorne Greene and foxy Andrew Stevens. 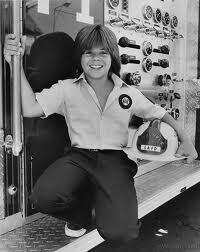 I was only about 9 at the time, so my personal crush was on early '80s child actor Adam Rich (of Eight is Enough fame) who had a small role on the show. According to Wikipedia, only 19 original episodes aired on ABC between 1981-1982, however for whatever reason I still remember watching this show. Because of its short run, I doubt we'll ever see it in reruns. Anyone remember this show, Code Red? Ever change your handwriting or name as a kid? Every time I visit Starbucks, I give them a different name. Sometimes I give them my middle name, other times I give them my husband's name (if he's with me) ... There's just something I don't like about them yelling out my name when my nonfat Latte is ready. Plus, they often get my name wrong, so why give them my real name if they'll just call me Sally, Amy or Haley instead? So today, I told the Starbucks chick that my name was "A.J." and it brought me back to 7th grade. No, not because of A.J. Slater from Saved By The Bell, but because I was a nerd who spent a week trying to become a different person. I thought "A.J." sounded better than my real name. I figured if I took my first initial and middle name initial, it would make me some super cool chick. It obviously never stuck and looking back, it's silly. I posted today's Starbucks incident on my personal Facebook page adding that it brought me back to junior high. People agreed that as kids, there's usually a time when we want to become someone different. 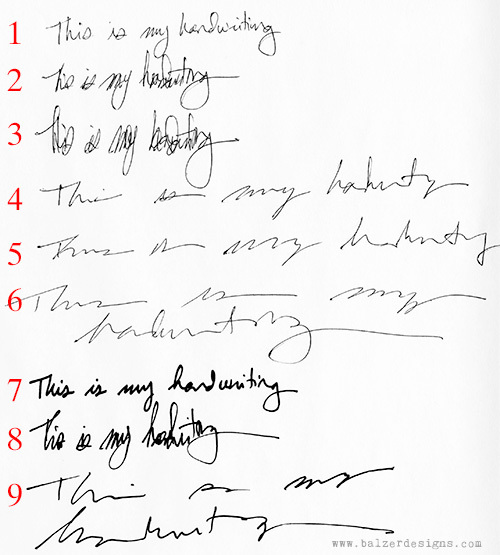 Many said they tried using different handwriting. I totally did that! 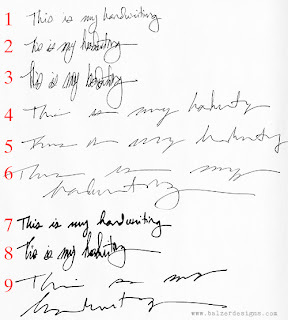 Did you try to get a new nickname to stick or alter your handwriting in anyway? Post it below. It'll be nice to know I wasn't that strange of a kid. The winner of the 80stees.com t-shirt contest is KT! We had 20 entries and out of 20. The lucky random number, chosen by Random.org was number 15. KT was the 15th reader to comment with, "I love the "What's a Happenin' a Hot Stuff" t-shirt! Long Duck Dong is a classic." Check out the cool shirt KT has won! Enjoy KT and thank you to everyone who entered. Please check back for more awesome '80s contests. 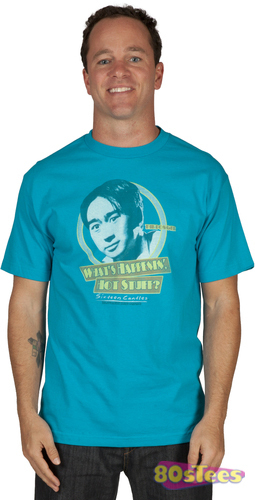 Enter To Win Your Favorite ‘80s Tee! 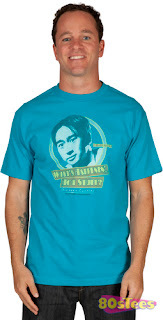 If you’re like me and love everything ‘80s, you have to check out 80sTees.com. Choose from your favorite ‘80s movies, music, TV shows, toys, and more. Whether you’re a fan of the truly outrageous JEM, The Goonies (they even have a replica of Chunk’s famous Hawaiian shirt! ), Atari, and more … the cool kids at ‘80s Tees have something for you. In fact, to show you just how cool they are, they’d like to give one Fourth Grade Nothing follower the shirt of their choice! One winner will be selected on Monday, April 22 using a random number generator – you can only enter once (duplicate entries will be deleted.) The winner will be allowed to select one item from the 80sTees.com site totaling a maximum of $30. We have a winner! Random.org choose #3, amgor863, but of course, no email address for you. Hope you see this and contact me so I can send you this awesome book! Hey '80s kids! We have another awesome book giveaway for you. 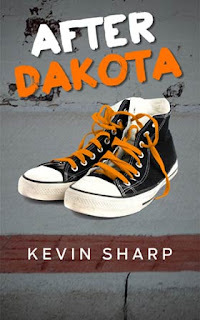 This one is called After Dakota and it's by a totally cool author named Kevin Sharp. First off, I'd like to point out that Kevin is a high school English teacher, which is what I wanted to be for a long time. Instead I ended up writing ad copy (where grammar isn't a priority) and bios for fourth graders about Justin Bieber and Selena Gomez. In other words, I have much respect for this writer. 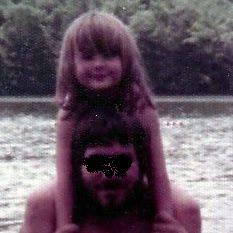 After Dakota takes place during my second favorite year, 1983, 1982 was my truly favorite year. The story follows three friends, Cameron, Bryce and Claire as they grapple with the loss of their friend, Dakota who vanishes in a plane crash. I don't wanna give away too much, so you'll just have to order Kevin Sharp's book here through Amazon (also available for just $2.99 via Kindle) or try to win it here at FourthGradeNothing.com. To enter, just leave a comment along with an email address so I can contact you if you win. One winner will be chosen randomly on March 10. The Super Bowl Shuffle was so cool in 1985. I have never cared for sports, especially football. 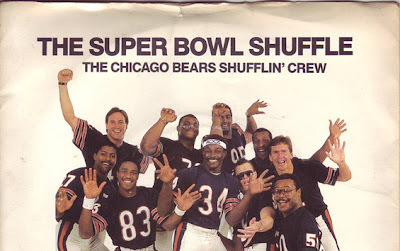 In 1985, I loved "The Super Bowl Shuffle" rap song and video performed by the Chicago Bears. I think at age 13, for a hot second, I was a football fan! I loved Refrigerator Perry and Jim McMahon. Although Valley Girl Childhood in the 80's author, Amy Asbury and I grew up on different coasts, her California dreamin' childhood memories are so similar to my own. It's freaky! 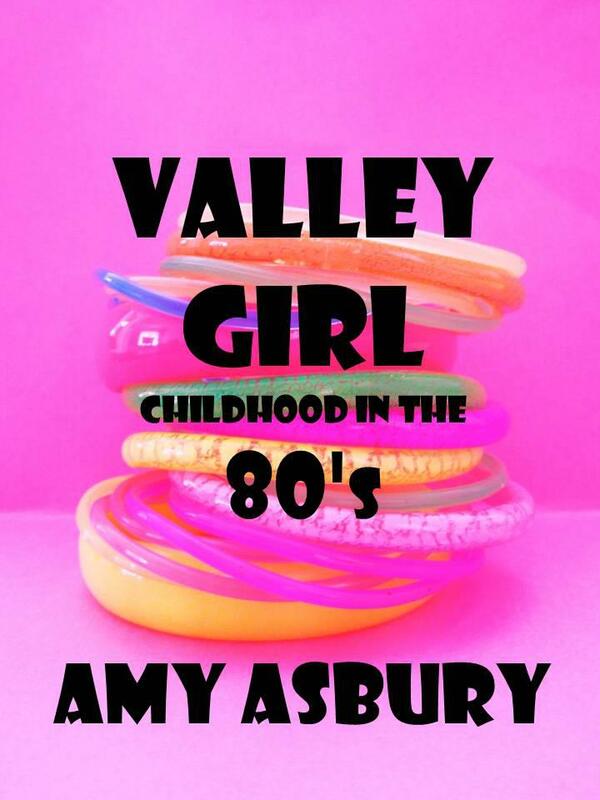 If you're a fan of the the 80's, you'll fer sher enjoy these 195 pages of pure 1980's pop culture. Peppered with actual drawings and photos from Amy's childhood, you'll honestly feel as if you're reading your BFF's diary from back in the day. 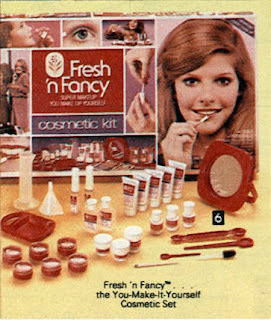 Relive classic 80's memories from Shrinky Dinks to Cabbage Patch Kids to music like Madonna and perfumes like Jean Nate. Amy was kind enough to give Fourth Grade Nothing an extra copy of her book. To win this, just leave a comment. One person will randomly be selected. One winner will be chosen at random on 1/28. For now, please click here to learn more about her totally 80's experience. Be sure to include your email address so I can contact the winner! Confession time. I've always been afraid of the dark. When we stay in hotels, I keep the bathroom light on. Every night, we sleep with the TV on without the volume. Our home is filled with nightlights. I had a favorite nightlight back in the 1970s. It was actually a lamp. There was a cute wooden clown holding a red plastic cane and huge colorful balloons. The clown also had a little dog. Both figures had their arms outstretched. The balloons would light up as a lamp and at night you could switch the nightlight on. 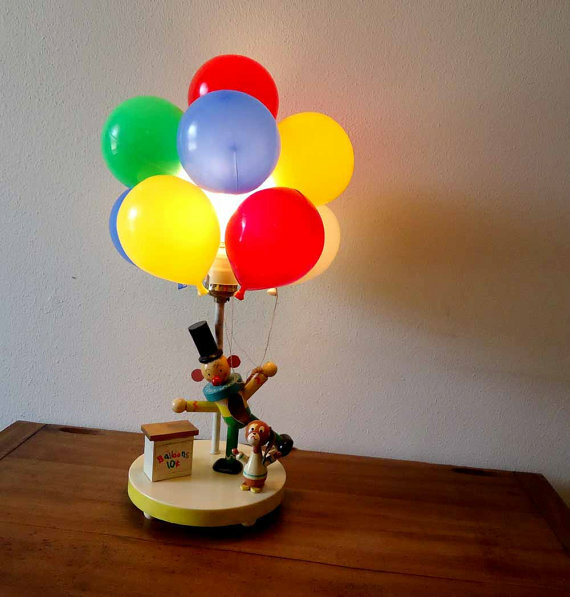 The nightlight was his "Balloons 10 cents" stand. I loved this lamp. 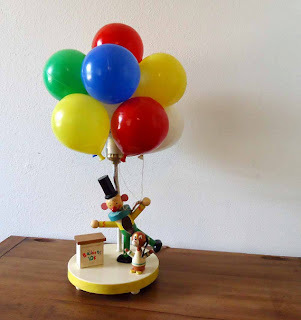 Did anyone else have the clown with balloons children's lamp and nightlight as a kid back in the 1970s? My cousin had one in the 1980s as well. Pathmark supermarket No Frills brand. Growing up on Long Island in the 1980s, Pathmark was our grocery store. 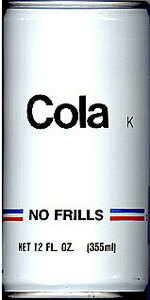 For some reason, I remember being oddly attracted to the No Frills brand. 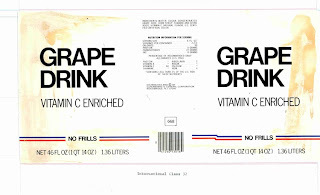 No Frills was their line of less expensive, no-nonsense generic foods, beverages, paper goods, toiletries, etc. 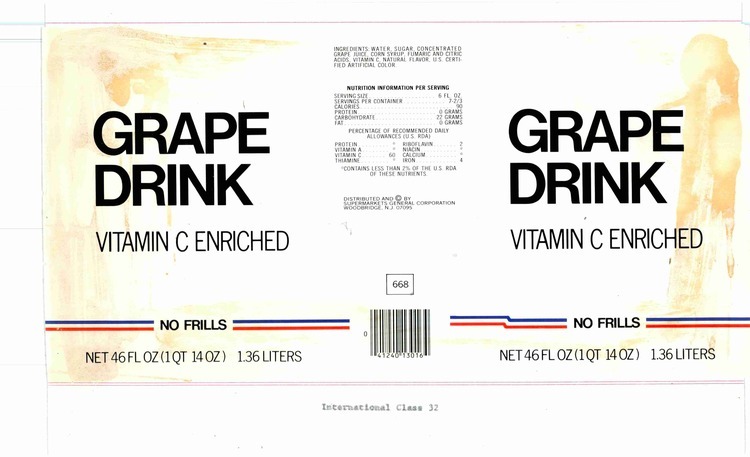 I was mystified by the design because no matter what the item, it was always packaged in white with black lines or lettering. Seriously, no matter if it was chips or fake Country Time lemonade ... you could find it in white paper, tin or cans with simplistic lettering and nonexistent design. We've come a long way since those days ... Today we refer to these items as, "store brands" and they don't look as dull.